Relationship blowups can be constructive in the long run. 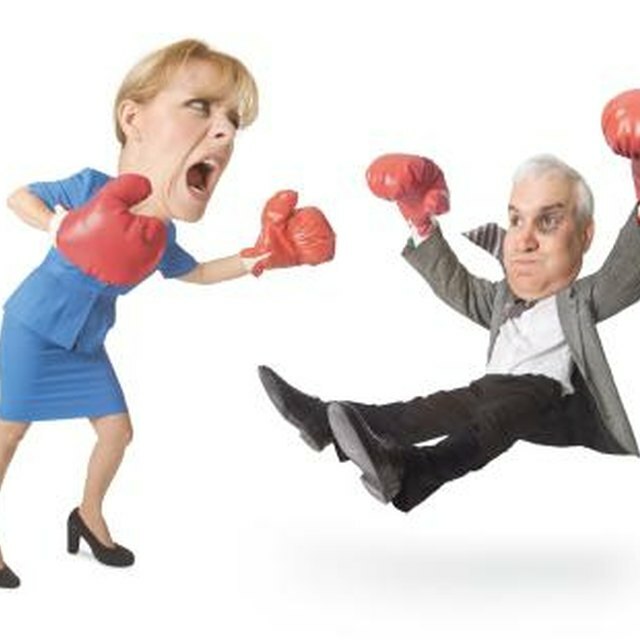 We've all been there, the hurt and anger caused by a nasty argument with someone we love. Unfortunately, relationships involve strife, and blowups are at times just part of the relationship process. In fact, conflict theorist Murray Straus explains that conflict is widely considered to be an unavoidable yet necessary part of all human relationships in an article published in the "Encyclopedia of Domestic Violence." What ultimately matters, however, is not the fight itself, but the way in which we make amends afterward. There is a way to apologize to your partner after a fight that will not only ease the tension present, but may ultimately lead to making the relationship stronger. Remove yourself from the situation and give yourself as much time as you need to feel less tense. Take time to cool off. Do not try and speak about the fight until some time has passed. In a study published in 2006 in the "Journal of Family Violence," Zeev Winstok found that escalation within conflicts reduces the ability of both parties involved to clearly understand and grasp the underlying initial issue. Removing yourself from the conflict will allow you and your partner to communicate more clearly. Apologize to your partner for the way you acted during the fight. 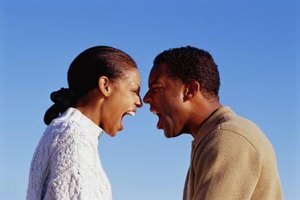 Let your partner know that any hurtful things you may have said were simply due to anger. It is important to show that you do recognize behavior that may have been spiteful or cruel. Validate the feelings of both parties during the blowup. Explain that you realize that your partner was angry and upset and that you felt that way, too. Laura Rizkalla and colleagues, in a study published in 2008 in the "Journal of Research in Personality," found that greater perspective-taking among couples after a fight led to higher rates of forgiveness. Apologize for any hurt feelings that your partner may have experienced during the fight; explain that this is the last thing you want. This confirms to your partner that you still care and that the fight has not changed your feelings. Explain to your partner that whatever the underlying issue was that caused the fight, it is clearly significant enough to cause such an impact. Let your partner know that you want to discuss this issue, but don't do so on the spot. Pick a time to sit down and discuss it further. This will give you time to collect your thoughts so that you are more prepared when you speak. End the apology by letting your partner know how much love you feel. Conversations that end on an affirmative note are more likely to be interpreted more positively by both parties. This will help your partner to feel less defensive and to enter the discussion feeling hopeful and optimistic about the outcome. Smile when talking on the phone to your partner. Smiling while on the phone makes a person's voice sound more uplifting and less hostile. If at any time any physical violence happens within the fight, do not attempt to make amends. Get the necessary help needed. Domestic violence is a serious issue and should not be tolerated. Alizah Scherr has worked as a professional school counselor in a public school system for more than five years. She has a master's degree in education and is certified as a counselor.